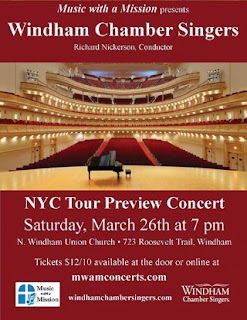 The Spring tour for the Windham Chamber Singers is always a big deal, but this year, it’s even bigger. On April 14th, the group leaves for five days and two concerts in New York City. And these concerts aren’t just anywhere – one is at Carnegie Hall and the other at St. Patrick’s Cathedral. The Chamber Singers are part of a 5-day residency program joining with other choirs from across Maine to form the Maine Festival Chorus. The trip culminates in a concert at Carnegie Hall on Sunday, April 17th. 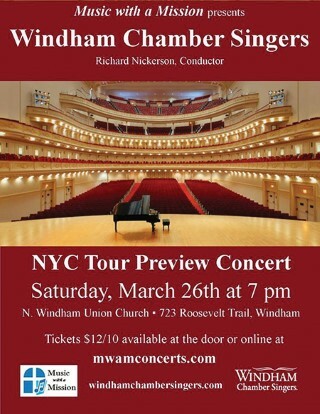 Windham Chamber Singers Director Dr. Richard Nickerson said he was invited to conduct this program a few years ago. The high fees involved means coordinating with other choirs to make it happen. He approached Rob Westerburg, the choral director at York High School, and together they created the program. Since the group would already be in New York City, Nickerson sent an audition tape to St. Patrick’s Cathedral to participate in their guest choir concert series. Their concert was approved, and on Friday, April 15th, the Chamber Singers will perform a full hour of sacred acapella music. Staying in a city like Manhattan is extremely expensive, and more fundraising has been required this year than most. “This year, for the first time, we’ve actually reached out asking for help,” said Nickerson. “The response has been overwhelming. That may not be the case if we did that every year,” he said, adding that next year the tour will not require any fundraising beyond the usual concerts. “I think we live in a community that’s very supportive and the chamber singers have a really good reputation. When we go out into the community and ask for help, I think a lot of people are very willing to give us help,” said chamber singers president Jacqueline Gleason-Boure. 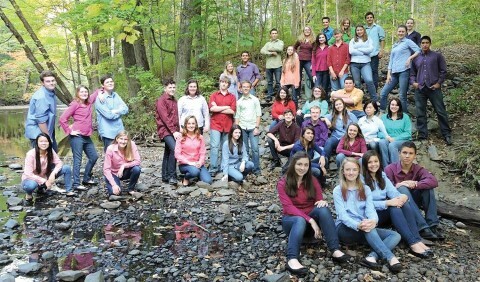 One of the fundraising events is the Windham Chamber Singers Music with a Mission concert, which will be held this Saturday, March 26th at the North Windham Union Church. This concert will preview their NYC tour, including several serious pieces from their St. Patrick’s concert. The evening will also include a silent auction and raffle to raise funds. Gleason-Boure said that is one of the reasons she feels fortunate to be a part of the group. “Dr. Nick has an amazing way of really making us feel like we’re an ensemble. It’s not as though if we have more money we’ll be able to do more, but if we work hard enough we’ll be able to do more. It feels really great to know that we really value each other,” she said. 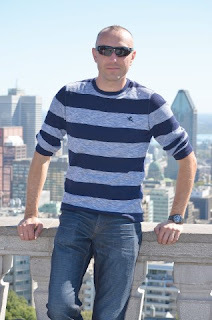 While the hard work for this tour isn’t quite done yet, the choir is also already looking forward to next Fall, planning a concert in conjunction with local musician Sean Slaughter and an 11-piece band to do an entire night of Queen. Tickets for the MWAM concert will be sold at the door, and are $12 for adults and $10 for students, children and seniors. Tickets are also available in advance on-line at www.mwamconcerts.com . 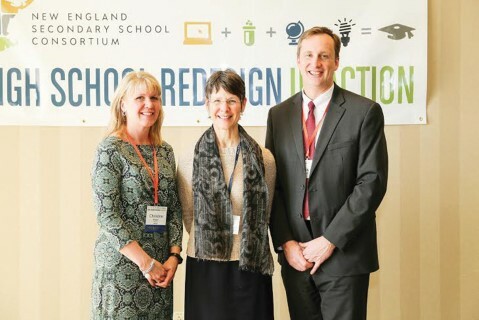 The box office opens at 6 p.m.
Last week at the annual High School Redesign in Action conference, Christine Hesler, director of curriculum, instruction and assessment for RSU14 and Windham High School principal Chris Howell were awarded 2016 Educational Champion awards from the New England Secondary School Consortium, which hosted the conference. This was the fourth time Hesler and Howell have attended the conference and Hesler presented at two sessions. Hesler and Howell were nominated by the Maine Department of Education and two employees there. “It’s flattering when schools who are trying to do some good things are recognized,” said Howell. The RSU has been reaching out to other schools all over the state and even other states to help them create programs that benefit students. Hesler and Howell were awarded partially for their work with proficiency-based learning. “We’re trying to make learning as transparent as possible to the students,” Howell said. For three years, the teachers and administrations have been working on developing a curriculum that benefits students - one that is “rigorous and relevant” to them. “Kids can make choices when they leave here. 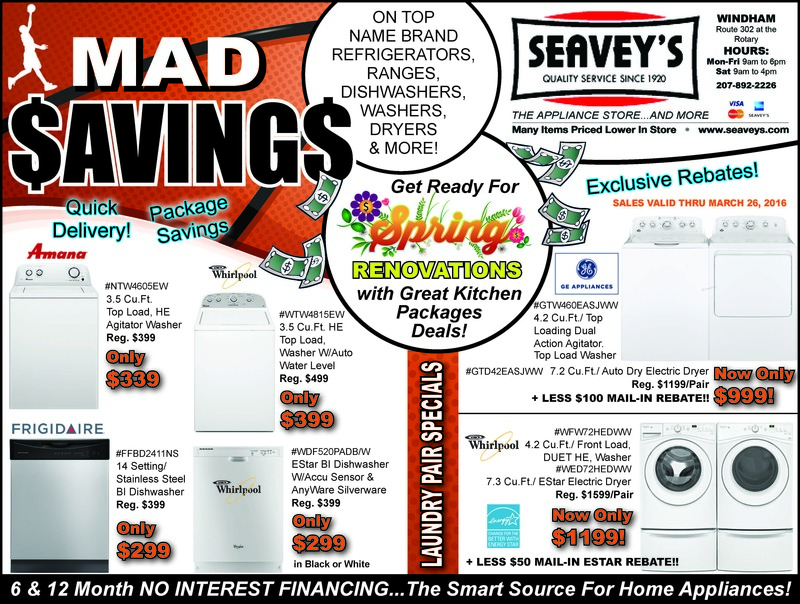 The choice is not dictated to them,” he said. He doesn’t want to see a student have no choice because of a minimal curriculum path. Others who were this awarded this year were state board of education chairmen, presidents and CEOs of major corporations and executive directors of non-profits. “Mrs. Hesler and Mr. Howell were two of seven Champions recognized this year for their extraordinary commitment to ensuring that public-school student across New England have a chance to succeed in school, live a fulfilled and meaningful life, and make a positive contribution to the world,” said Blythe Armitage from Great Schools Partnership based in Portland. Hesler, along with teachers Jeff Riddle and Amy Denecker, and Sarah Plummer, from the Portland Water District, discussed the book their class wrote and published last year called “Discovering Water”. On the new website www.discoveringwater.org people can see how the book came together, the team and the presentation they did at the conference, which was not only presented at the conference, but streamed live to other states. and learn about water. The book is currently being used in every sixth grade in the state, Hesler said. The students who worked on this book, graduated from WHS as published authors, photographers and graphic artists, she added. Howell is pleased that the school is able to reach out to community partners and non-profits that want to partner with the students in projects. “I’m excited for Chris, He’s working really hard at the high school. 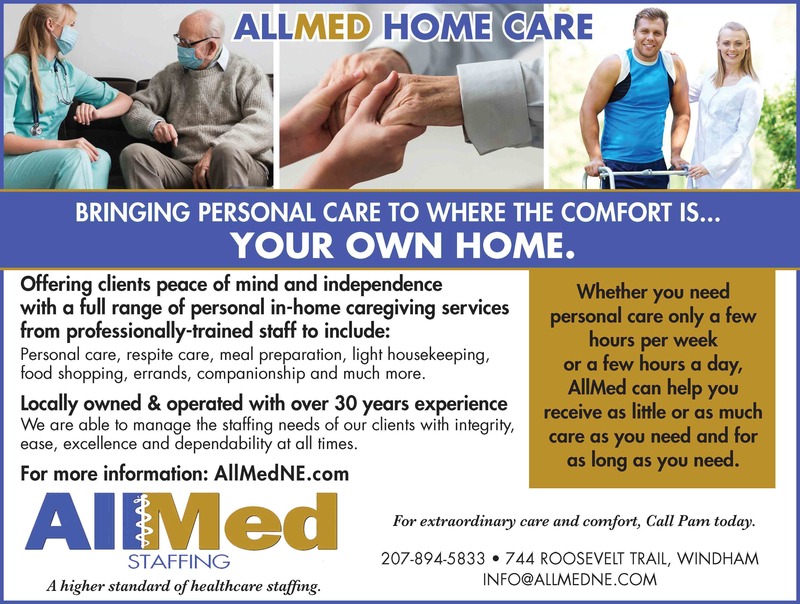 We’re extremely fortunate to have him,” said Hesler. “These champions do this through their deep thinking, their tireless energy, and their unwavering commitment to students they will never know. Far too few students will ever know that their lives have been positively influenced by the efforts of the 2016 New England Secondary School Consortium Champions," said David Ruff, executive director of the Great Schools Partnership and the New England Secondary School Consortium. “We are able to have hard conversations with the Department of Education to tell them we need tools to do the job well,” Hesler said. Hesler serves on the board of directors for the Maine Curriculum Leaders’ Association representing Cumberland County. Howell currently serves on the board of Jobs for Maine’s Graduates and on the advisory board for the School Education and Human Development at the University of Southern Maine. 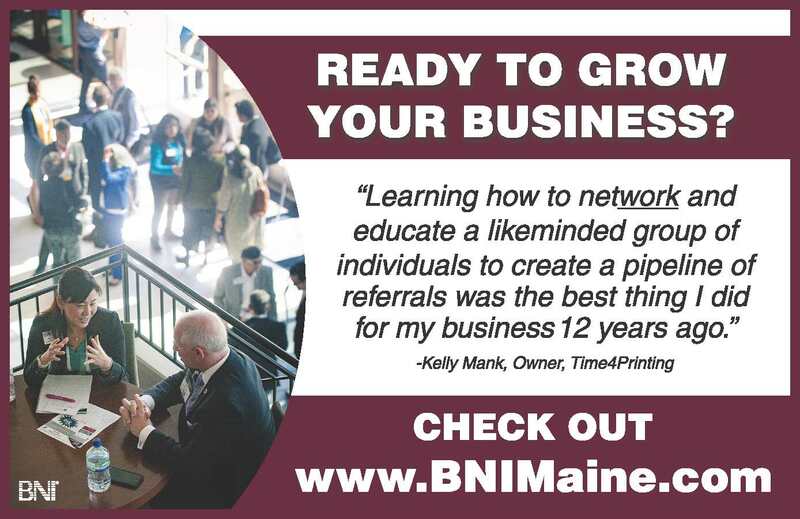 At the state level, he is a long-time board member for the Maine Curriculum Leaders’ Association. Howell also has served on several advisory councils for the Maine Department of Education. Howell is currently working with his team on updating the curriculum pathways to ensure that all students have a chance to meet the graduation standards as laid out, that assessments given measure the standards and targets and forming additional pathways that can help students meet standards in a non-traditional way. “We don’t do the work for awards, we do it for the kids,” Hesler said. Andjelko Napijalo has a right to have fears. Growing up in Croatia during a civil war turned his once idyllic childhood into a nightmare filled with boogiemen. He described the daytime sounds of exploding bombs and gun fire in the streets. And, not knowing if his neighbors were alive or not. After one month, Napijalo was afraid to go to sleep because of his nightmares. Though the creative release of drawing a comic strip about a family of rabbits, he started sleeping again and had no more nightmares. He was 10 years old. According to the Kickstarter campaign page, in “Nightmare Warriors”, readers meet a “young boy by the name of Gage Hunter whose parents were killed in a car accident. After his parents’ funeral Gage was approached by a mysterious man asking him to come to an abandoned lighthouse to learn the real truth about his parents. Gage discovers that he belongs to the line of Nightmare Warriors, people of special pedigree that can travel into other peoples' dreams thorough their subconscious. Gage also learns that his parents got trapped in Dreamland, the place where all dreams occur. None of the characters have superpowers and they must work together to defeat the bad guys in Dreamland. He contacted local artists to get price quotes, but in the end found a familiar artist from Croatia, who Napijalo went to high school with before coming to the United States. Nenad Cviticanin was the artist Napijalo chose. English is not Napijalo’s first language so while working with Cviticanin, they communicated in Serbian because it was easier, he said. Napijalo found Russian Maksim Strelkov to add color to the art work. “I’d never done anything like it before, hiring people. It was more complicated than I thought or imagined,” Napijalo said. The comic book took eight months to perfect from the sketches, the dialogue and the art work. “It took so long because I was so picky,” he said. While perfecting the artwork Napijalo and Cviticanin used their shared knowledge to create art that spoke to them. “He actually experienced the same thing I did during the war. His heart was in the project as well. He put everything into it and that matters a lot,” Napijalo said. The first comic book story of “Nightmare Warriors” is only the first part of a 10 book series that covers the two books Napijalo initially wrote. “I have a huge imagination. If something comes to mind, I have to put it on paper,” he said. He created a board game called Switch, although it has never been sold, the dream team plays it in the comic book. The comic book has not been printed yet. Napijalo has a Kickstarter campaign going on for the next week and a half to finish funding the publishing of “Nightmare Warriors”. Everything is done, including the prizes and incentives for the campaign. People who give to the campaign will receive items like T-shirts, puzzles, posters, copies of the comic book and more. This edition will be a special Kickstarter edition and he plans to print only 500 copies. Any extra money raised will go directly to the printing of issues two and three. “The Kickstarter will pay for printing, cool stuff, fees, shipping and shows demand. It puts me out there,” Napijalo said. “The idea is to get it to more people.” He is hoping that a kid will pick up the comic book, read it and love it. The book promotes family values, compassion, love and friendship. “It empowers kids and adults to take control of their fears,” he added. Napijalo is a voracious reader, who reads whatever sparks his interest. He came to the United States in 1999, when he was 20 years old along with his parents. During the daytime, Napijalo is a detective for the Portland Police Department. He is married and lives in Windham. An ambitious project, five years in the making, aimed at transforming Windham’s bustling commercial strip between River Road and White’s Bridge Road intersections may soon begin a long trip toward reality. Planners have initiated a plan to improve safety in the Boody’s Corner area with the creation of crosswalks and count-down pedestrian signals. In addition, sidewalks would be installed on the north side of Route 35 from the intersection to Basin Road. A small but definitive step to what local officials hope will someday be the ultimate alternative to an auto-centric commercial center. The future, they say, will be “a historic style grid creating a fabric of mixed uses and street types…east and west of the transportation corridor…(which) promotes economic development, safety and sense of place. 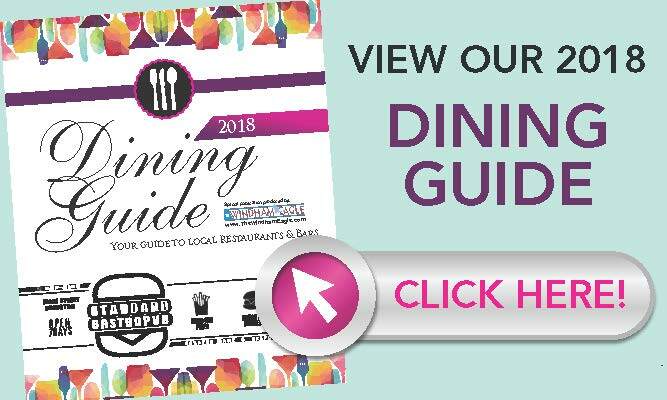 Decades of complaints about traffic congestion and lack of aesthetic appeal in the commercial district of North Windham have been as numerous as the hamburgers and household goods sold daily along the strip. Long gone are the days of a single traffic light at Boody’s Store (intersection 35/115), a village style mix of locally owned stores, single family homes and farms and a thru-fare framed by overhanging elm trees. Since the 1960s, numerous studies have been recommended, even implemented, to change and improve the area. Still, dissatisfaction lingers. Now a bold and optimistic project, idling since 2011, is beginning to take shape. Town planners and officials of T.Y. Lin Engineers of Falmouth met with residents and stakeholders last week to discuss the first steps toward implementation of the North Windham 21st Century Downtown Plan. T.Y. Lin senior associate Thomas Errico presented slides and sought feedback from the gathering of several dozen at Smitty’s Cinema in North Windham. The plan, a comprehensive vision for the future of the area, seeks to guide growth and change through the promotion of “quality of place.” Not just another “corridor study” that focuses on traffic movement, the master plan would expand street networks surrounding the commercial core, incubate economic development and housing opportunities, landscape esplanades and access to open space. A key concept of the plan is the promotion of Complete Streets, designed to provide safe and comfortable travel for pedestrians, bicyclists and public transportation riders as well as cars. 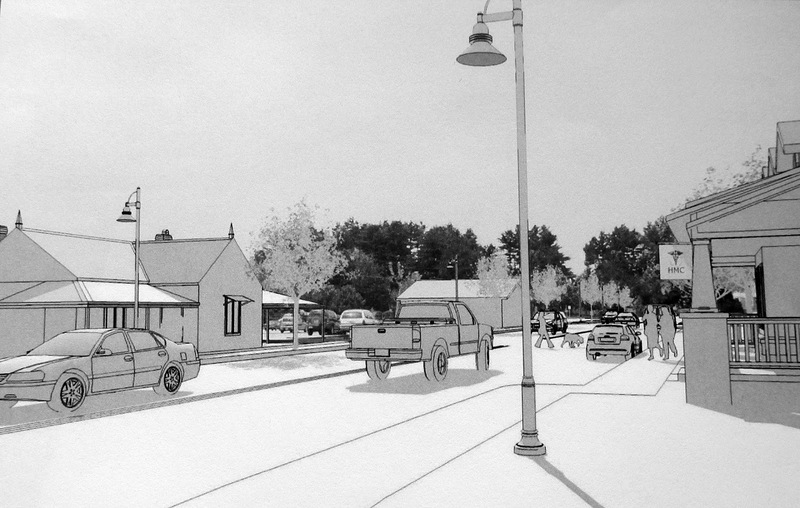 On-street parking is envisioned on lateral streets. Crosswalks with count-down signals would be installed at all intersections. Intermittent raised medians installed on Roosevelt Trail would be designed to improve driveway access. And collaboration with local businesses is recommended to modify driveways deemed unsafe or unneeded. Shared drives created by fewer curb cuts will be encouraged. In addition, improved traffic signal phasing is anticipated to reduce delays. The plan also acknowledges the need for a public sewer system, a move now underway by a committee of Windham public officials and local residents. 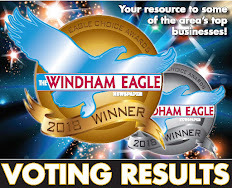 The North Windham 21st Century Downtown project received the prestigious Plan of the Year Award from the Maine Association of Planners in 2014. It was approved as official town planning policy by the Windham Town Council in 2013. Windham officials and T.Y. Lin predict it will be many years before 21st Century approaches complete reality because components of the plan will be introduced only as future development occurs. The new sidewalk and crosswalk construction at Boody’s Corner is dependent on a grant application now before the Portland Area Comprehensive Transportation System (PACTS). Preliminary engineering is expected to be completed this spring. Planners said the dramatic transformation envisioned under 21st Century will have to happen in conjunction with future development and with the formulation of short and long term goals. 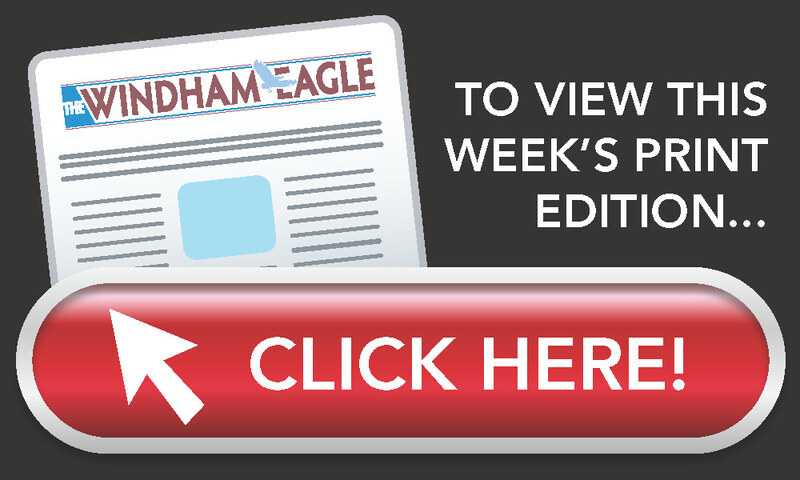 Revisions to the Windham Comprehensive Plan and to land use ordinances will guide its implementation. Funding, over time, could come from a variety of sources including capital improvement budgets, tax increment financing, bonding, impact fees and grants. 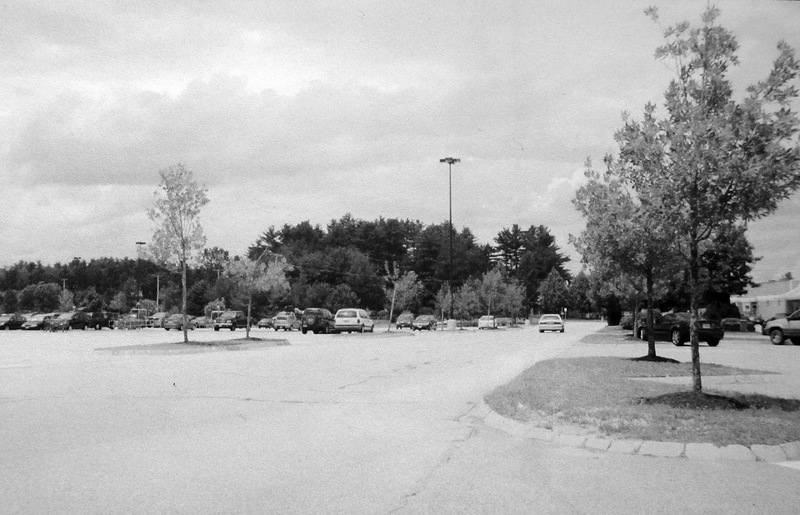 Artist’s rendering comparing access drive to WalMart (McDonald’s on right) before and after implementation of 21st Century plan. If local land preservationists are successful the view from atop Pismire Mountain in North Raymond will be virtually unchanged 100 plus years from now. 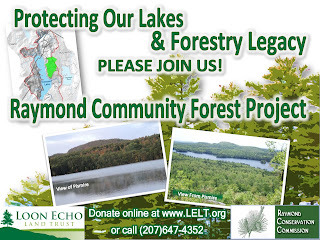 Local volunteers, including members of Loon Echo Land Trust and the Raymond Conservation Commission, have worked for more than three years to establish a conservation easement on 350 acres of pristine forest on the east shore of Crescent Lake. 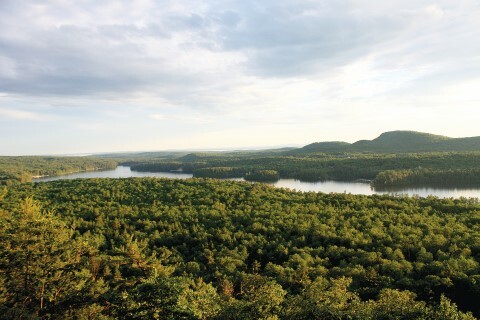 Known as the Raymond Community Forest Project, the plan would preserve a rustic forest and mountain area and protect the water quality of lakes and rivers, wildlife habitat, as well as scenic vistas and recreational activity. Carrie Walia, executive director of Loon Echo Land Trust, said her organization has an intent-to-purchase agreement with the current owner, Hancock Lumber Co., that carries a real estate deadline of June 30, 2016. The property was appraised at $615,000, of which $30,000 still needs to be raised in the next 3 ½ months. “This significant project is steps away from being completed,” said Walia. “We’re optimistic that the community will help us close (the) gap to buy this special property in Raymond for the benefit of the public.” Almost 95 percent of the purchase price has already been secured from a variety of sources, including the Maine Outdoor Heritage Fund, private donations, a number of foundations and a “bargain sale” in-kind contribution from Hancock Lumber Co. Another from the Land for Maine’s Future will have to be covered by a loan until the state funds are released. The sprawling forest land lies within the watershed of Crescent Lake. 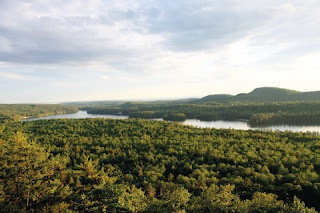 Walia said the proposed community forest will serve as long term protection of the quality of the lake and the waters downstream to Panther Pond and Sebago Lake, the source of public water for the region. For outdoor enthusiasts, LELT promises the development of trail networks, at least one to the top of Pismire Mountain. Others would support hiking, walking, mountain biking and cross/back country skiing. Traditional hunting and forestry is also planned. A parking area would be located off Conesca Road. As recently as last Monday, Walia announced the receipt of a $32,000 grant (pending purchase) from the Maine Recreational Trails Program (Maine State Department of Agriculture). Sheila Bourque of the Raymond Community Forest Steering Committee said while Loon Echo will own and pay taxes on the land, she foresees a group of Raymond residents serving in an advisory capacity in the management, trail maintenance, signage and supervision of the public, and youth groups using the property. “We would act as the eyes and ears of the property,” tending to the day to day, hands-on tasks, Bourque said.